This week, 74 students from T.M. 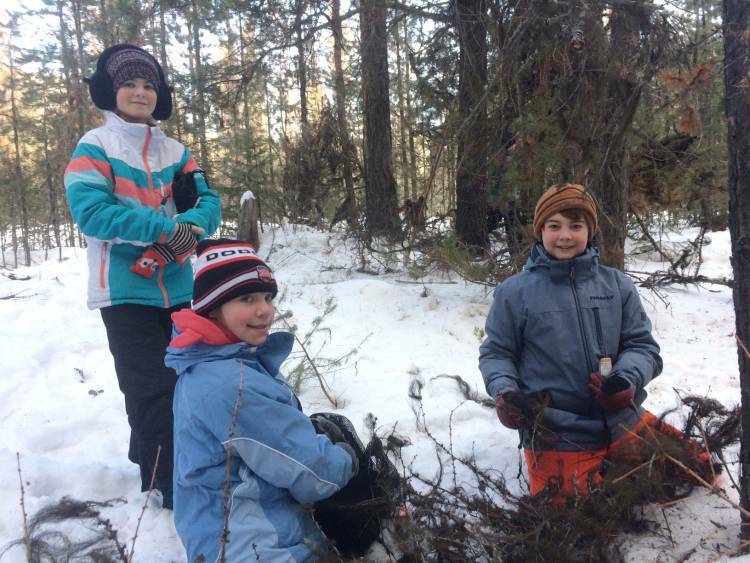 Roberts Elementary spent a cold morning collecting lichen for mountain caribou—and creating hope for the future. The lichen, gathered from tree branches, will feed the last few animals in our local caribou herds, recently moved to a maternity pen near Revelstoke. Maternity pens are designed to be temporary—protecting caribou cows so they can give birth and help their calves grow and become strong, before being released into the wild. In this case, to join the Revelstoke-area caribou herd. But the move into a maternity pen can be a tough one. Lichen is the staple of the mountain caribou diet in the winter and the animals need it to help with the transition, before they can slowly start to eat other foods. “We are all feeling pretty deflated after over 20 years of trying to protect caribou and having no meaningful habitat protection lead to the predictable result of losing our herds,” said Wildsight educator and biologist Dave Quinn. 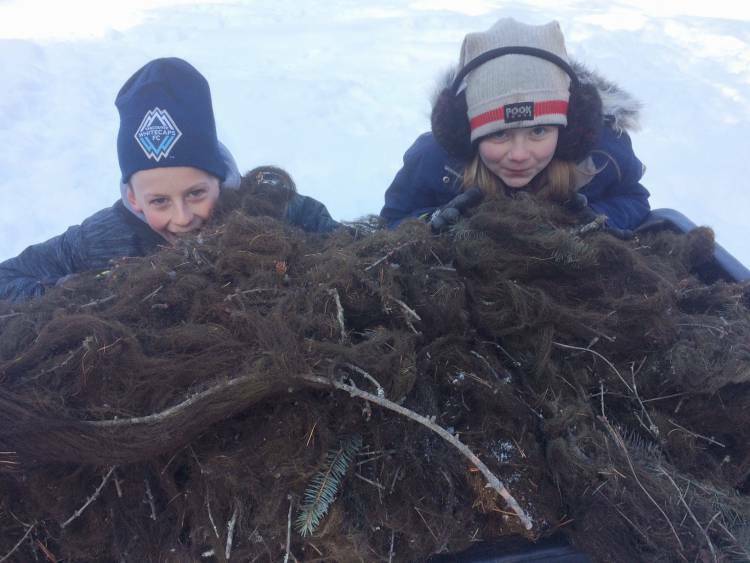 The group collected six full soccer ball bags stuffed tight with lichen. the bags were delivered to Ministry of Environment biologist, Tara Szkorupa, who will ship the lichen up to Revelstoke for the caribou.